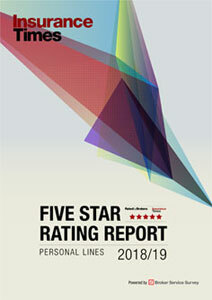 In the Insurance Times Five Star Rating Report for Personal lines, brokers awarded Covéa Insurance an overall five-star rating. What do you attribute this five-star rating to? “We think the five-star rating says a lot about how at Covéa we put the customer at the heart of everything we do. “We work closely with our brokers and partners to make sure that together we do the right things for our mutual customers, and we constantly evolve our proposition to ensure we deliver the best cover and service. Covéa Insurance achieved a five-star rating in 3 of the 5 service factors explored in the survey – access to decision makers, underwriting and policy documentation. Choosing one of the service areas, please tell brokers the strategy you have in this area that has resulted in receiving a high rating by personal lines brokers? “We would probably highlight ‘access to decision makers’ as this is extremely important to our business partners and customers. We believe that we should work closely, and have strong working relationships, with our business partners across all levels of our organisation. 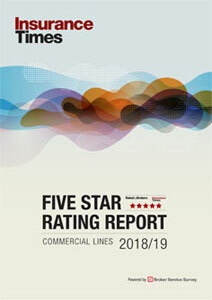 Covéa was rated four-stars in overall claims experience by brokers, what plans do you have in the year ahead that could result in brokers awarding Covéa a 5-star rating in the 2019 claims ratings? “Our business is continually transforming in the claims arena to match the ever changing (and increasing) expectations of customers. “We believe that some of the digital transformation in particular will really help the claims journey become increasingly slick and easy for the customer. One of the general concerns from small independent brokers about all insurers was how some felt there is a lack of willingness to work with them compared to the larger brokers. Do you have a differing service strategy for servicing small and large independent brokers? Over 500 Brokers expressed a variety of concerns they had for the year ahead and how they would like insurers like yourselves to assist, concerns such as Brexit, renewal pricing increases, insurers assisting in identifying areas of growth for brokers and much more. How can Covéa assist with these concerns and what concerns do you have for brokers operating in the personal lines market? “We totally agree that there are some tough times ahead for us all and the best way we can tackle them is together.